Yin in a Yang world. Brian Mahoney, Editorial Director @LuminaryMedia, a N.Y.-based publisher and creative marketing agency. We support & cultivate the spirit of our Hudson Valley communities. An Ancient Practice to Balance Modern Life. Yin Yoga is a slow, meditative practice that encourages students to shift their focus inward, not just toward their mental state, but to begin a specific inquiry into the body’s inner landscape. 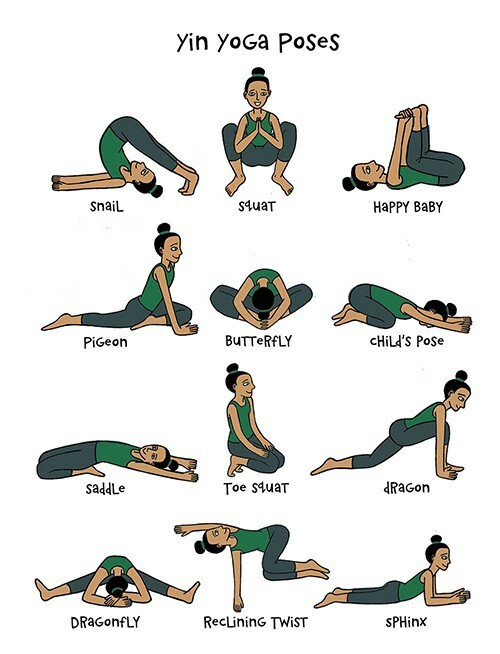 All poses are on the floor (no standing poses or headstands here) and most are held for a minimum of two minutes, and some for up to 20. Like other forms of yoga, Yin brings increased flexibility and decreased stress, contributing to a general state of wellbeing. “The health benefit I hear students describe most often is that they sleep better,” says LeBlanc. The growing popularity of Yin Yoga is no surprise considering the “yang” nature of most people’s daily lives. (Since LeBlanc began teaching in 2003, he’s recorded a steady uptick in class attendance and interest, and has noticed “a very definite emerging of Yin back into the popular yoga consciousness.”) The sensory bombardment most people experience on a daily basis, coupled with the need in Western culture to look for logic and meaning in every situation, sets our minds into constant, often repetitive, chatter. The ubiquitous nature of electronics has only amplified and intensified our “monkey minds.” Yin Yoga provides the perfect antidote to this overstimulation rampant in modern life. On a physical level, the emphasis of Yin Yoga poses is not on stretching the muscles but on stressing the ligaments and opening the joints, pressing underneath the musculature of the body. It’s a subtle but very powerful change of focus. During practice, the muscles remain relatively inactive in order to focus on the myofascia, the body’s underlying system of connective tissue, just below and intertwined with the muscular system. The myofascia, sometimes simply called the fascia, is a system of collagen, elastin, and reticular fibers holding the body together anatomically, connecting our various tissues to bone, joints, muscles, and internal organs, and holding our blood vessels and nerves in place, in a kind of mesh-like net. “Think of shrink wrapping,” explains LeBlanc. The fascia is not something we can necessarily feel directly, but as we naturally go about our daily lives executing repetitive movements — walking, sitting, driving, or even sleeping — the fascia tightens and holds the body in habitual patterns. When the body experiences the stress of even a minor injury, the fascia holds onto this stress as well. This fascial tightening can have a wide range of effects on our physical wellbeing, causing stiffness and pain in the joints and muscles, disturbing our sleep, and even affecting our mental and emotional health. “The trick of Yin Yoga practice is finding the right balance between effort and surrender,” explains Danika Hendrickson, who teaches Yin classes throughout the Hudson Valley. “For a Yin class to be effective, students have to find a way to let go of muscular effort and striving, and focus more on just being.” With regular practice, the body can let go of old physical habits that aren’t helping, and very often are harming, our health. Simply put, releasing the fascia literally frees the body from a microcellular level. With Yin, “poses are an open framework that lead to a body-based meditation,” explains LeBlanc. True to the Yin philosophy underlying his practice, no two of LeBlanc’s classes are the same. Rather, LeBlanc uses his own personal daily Yin practice as a point of departure, then lets classes unfold naturally from that place. The class then evolves and adapts as he observes the attending students’ needs. Through this process, “the visceral experience of the body becomes the meditation”: Students have an opportunity to review their relationship with any discomfort and investigate what that discomfort is communicating, ultimately establishing a different relationship with both emotional and physical pain.